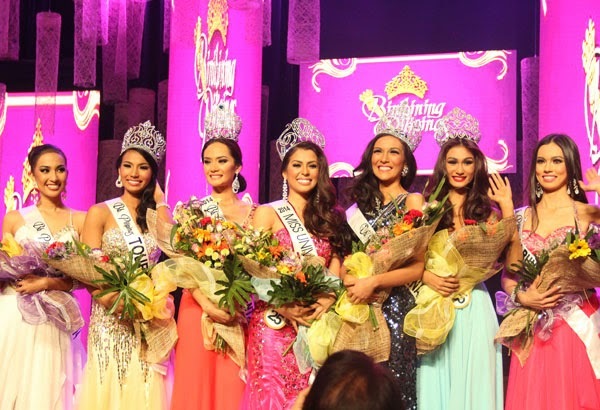 QUEZON CITY, Philippines - Mary Jean Lastimosa (25, 1.69m, Tulunan) was crowned Miss Universe Philippines 2014 at the conclusion of the Binibining Pilipinas 2014 pageant held at the Araneta Coliseum in Quezon City on March 30. She will represent Philippines in Miss Universe 2014. Mary Anne Bianca Guidotti finished in second place and was crowned Bb. Pilipinas International 2014. Kris Tiffany Janson finished in third place.